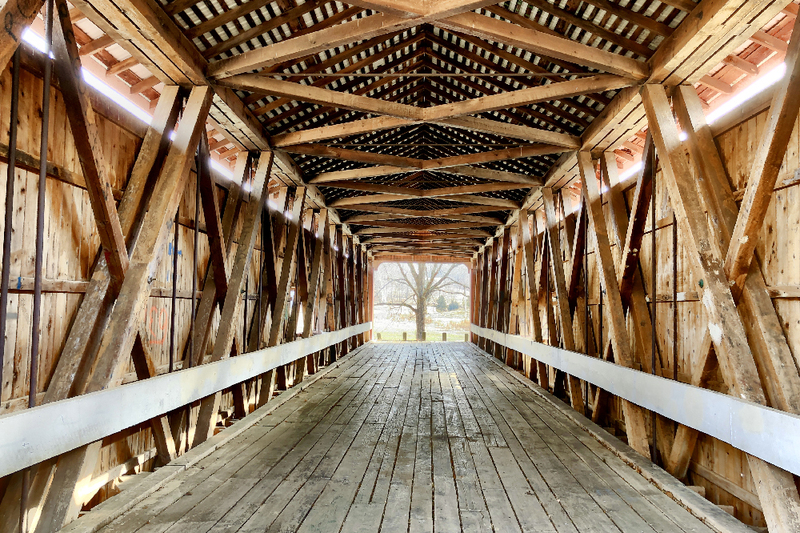 Three historic bridges in Ripley County, including a picturesque pair of twin covered bridges, are on their way to being listed in the National Register of Historic Places. The 1884 Otter Creek Bridge was closed to cars decades ago, but it's still open to pedestrian traffic. At one time, more than 600 covered bridges provided picturesque and practical crossings across Indiana’s waterways. Today, fewer than 100 remain, many holding pride of place in their communities. 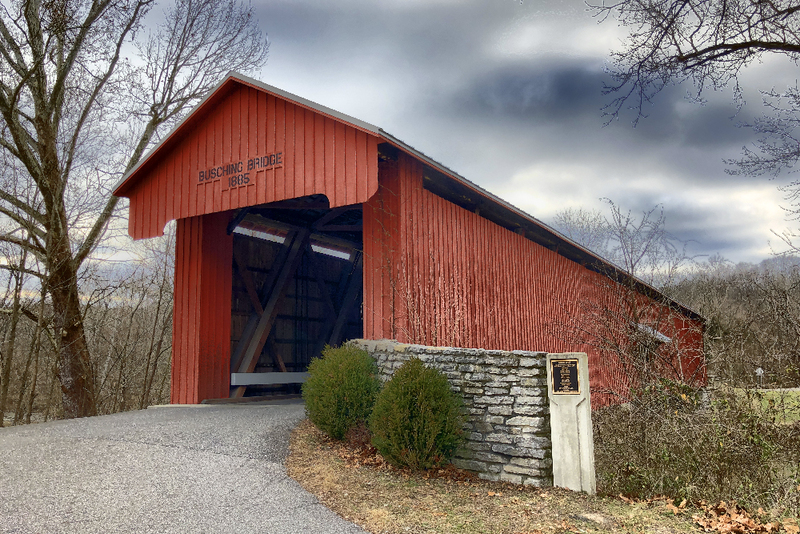 In Ripley County, two covered bridges and a third stone bridge are on their way to being listed in the National Register of Historic Places, a designation that brings honor and opportunities for grants for rehabilitation. Two of the bridges, the Otter Creek Bridge and the Busching Covered Bridge, are nearly twins. Both feature horizontal windows covered by wooden awnings, and both sport classic red paint. 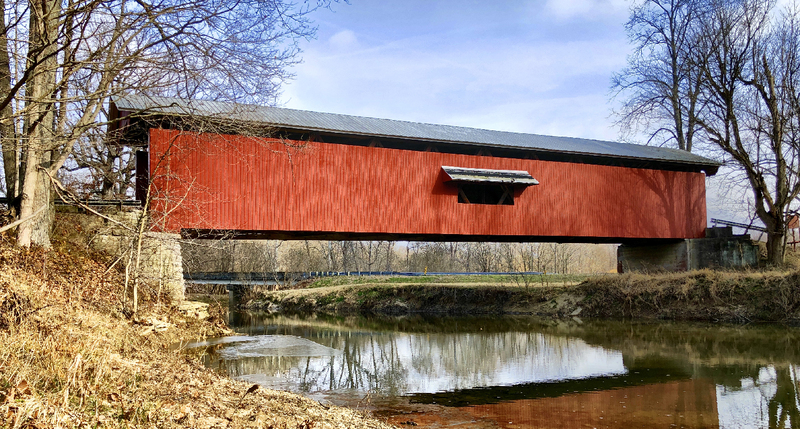 Together, they represent Ripley County’s only remaining covered bridges. The bridges’ similarity may not be surprising, since both were constructed by Thomas A. Hardman, a bridge engineer and contractor from Brookville. For each, Hardman used a modified version of the Howe Truss, an ingenious design that incorporates iron bars and turnbuckles to regulate tension, holding the top and bottom cords of the bridge together. Other all-wood covered bridges frequently encountered problems with separation from the cords, a problem handily solved by the Howe Truss’s iron assemblies. Of the two, Otter Creek is the older and shorter. Built in 1884, it spans almost 113 feet across its namesake creek. Though its days of carrying vehicles over the creek are done – it was closed to cars in 1996 – it is still open to pedestrians. The Otter Creek Bridge’s wooden truss assembly is clearly visible inside. Located at the entrance to Versailles State Park, the 1885 Busching Covered Bridge spans 170 feet across Laughery Creek. 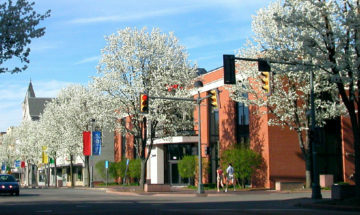 Rehabbed in 2005, the one-lane bridge is still used for passenger traffic. 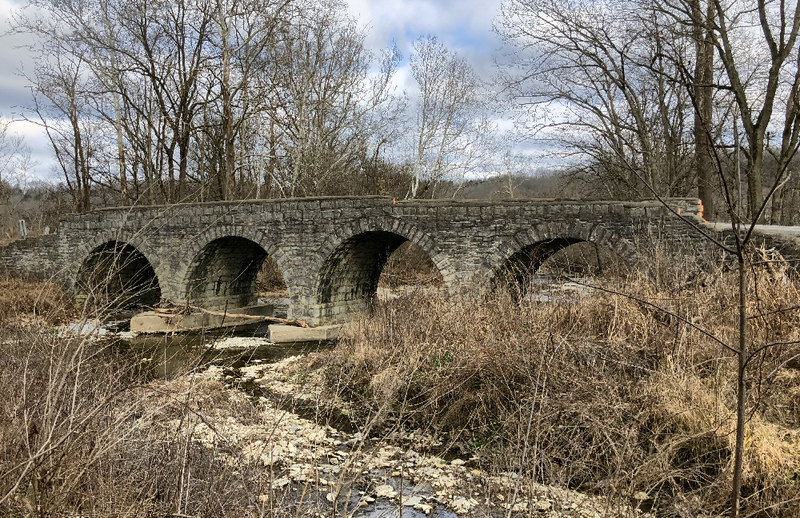 Built in 1909, the Friendship Stone Bridge across Raccoon Creek is the youngest of the three nominated bridges. Constructed of Blue Limestone, the bridge boasts four separate arched spans, making it the largest of Ripley County’s remaining stone bridges. Once approved by the state review board, the nominations will move on for approval by the National Park Service, which administers the National Register. 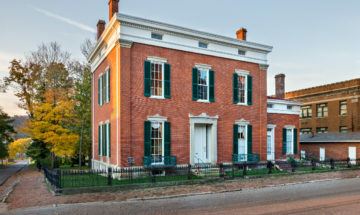 Funding for the nominations came from Ripley County Commissioners, the Efroymson Family Fund of the Central Indiana Community Foundation, and Indiana Landmarks’ Partners in Preservation program. 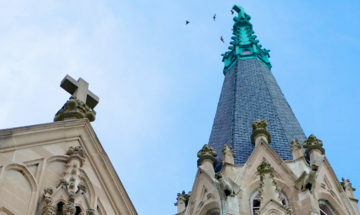 While being listed in the National Register does not inherently protect buildings and structures, it does make rehabilitation or restoration projects eligible for a larger number of grant opportunities. Check here for more information.